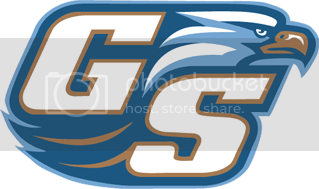 The game times for the 2010 schedule have yet to be finalized, but the Florida Gators have already scheduled one additional out-of-conference opponent for the 2013 football season as the Georgia Southern Eagles will be traveling to Gainesville, FL, for a late-season game on Nov. 23. The Eagles are supplementing their conference lineup with big-name opponents for the football team in an attempt to raise the prestige of the university while simultaneously earn some extra money for the athletic department. Georgia Southern has also scheduled future contests against Alabama, Georgia and Georgia Tech and will be paid more than $450,000 by Florida, according to the Savannah Morning News. The deal between the two schools likely came about due to a familiarity between the respective athletic directors. Jeremy Foley of the Gators and Sam Baker of the Eagles were classmates at Ohio University, both earning master’s degrees in sports administration in 1976. Florida and Georgia Southern have squared off twice previously with the Gators winning both games – a 38-14 victory in 1986 and a 62-14 thrashing on the way to their 1996 National Championship. UF has received some criticism over the last few years for scheduling “easy” out-of-conference opponents outside of their Southeastern Conference slate and annual game against Florida State. Teams the Gators have played in the second-to-last regular season game since 2006 include Western Carolina, Florida Atlantic, The Citadel, Florida International and Appalachian State (2010). This is unfair to season ticket holders, always has been. Way to step it up jreremy!!! Name a team that does not schedule powderpuffs. We can argue all day about whose schedule is stronger, but at the end of the day it’s all about wins and money. Teams like Georgia Southern can’t afford nice equipment without lots of carwashes or a beating from a rich team. It’s that simple. 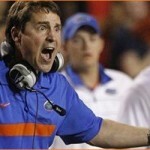 Yay, another waste of a drive to Gainesville for a boring game. I am running out if people who want my tix / for free- to these games.